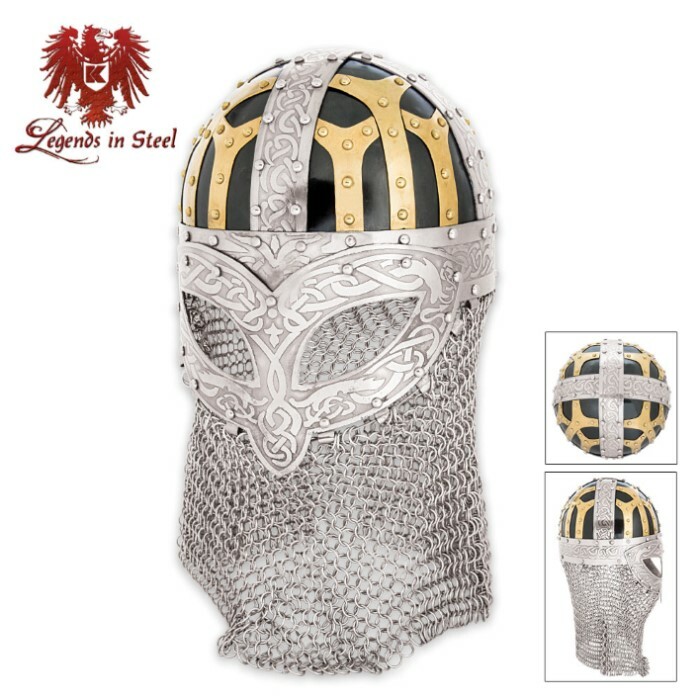 Legends In Steel Imperial Viking Helmet With Chain Mail | BUDK.com - Knives & Swords At The Lowest Prices! 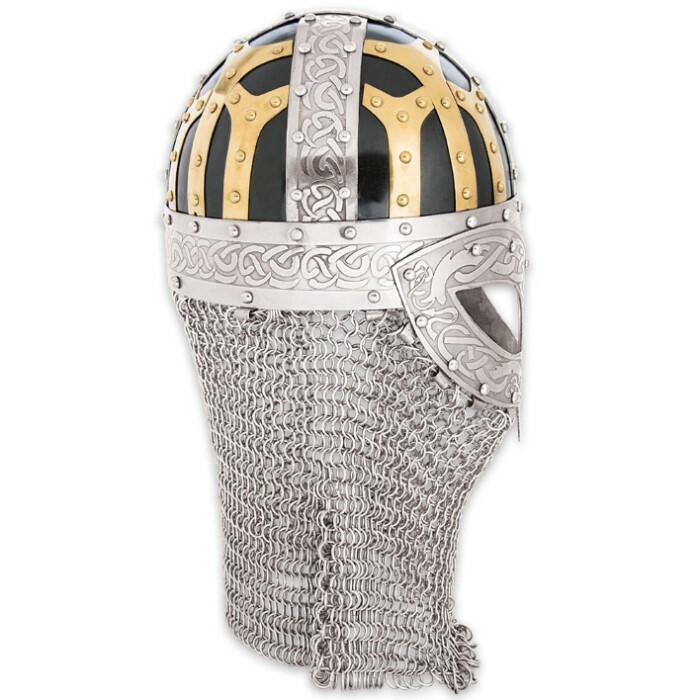 The Imperial Viking Helmet With Chain Mail from Legends In Steel is one impressive collectible piece. This is definitely a must-have historical reproduction item. 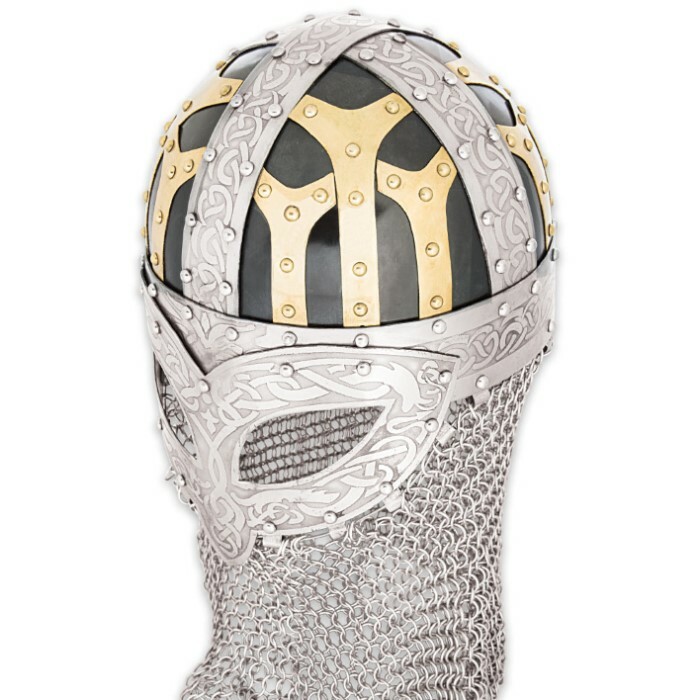 It’s constructed of 18 gauge steel and features a 16 gauge chainmail neck and shoulder guard. The helmet is decoratively designed to make it a showpiece for any collection. It looks really cool and would go well if you want it on a shelf but if you want to use it don't be deceived. It is a really big helmet even if you put padding in it.